Raumfahrt - Imagine Giving Birth in Space A start-up wants a woman to deliver a child 250 miles above Earth. The first question: Why? Launch Notes: This will be 132nd mission for United Launch Alliance and ULA's second Delta IV Heavy launch in less than four months. 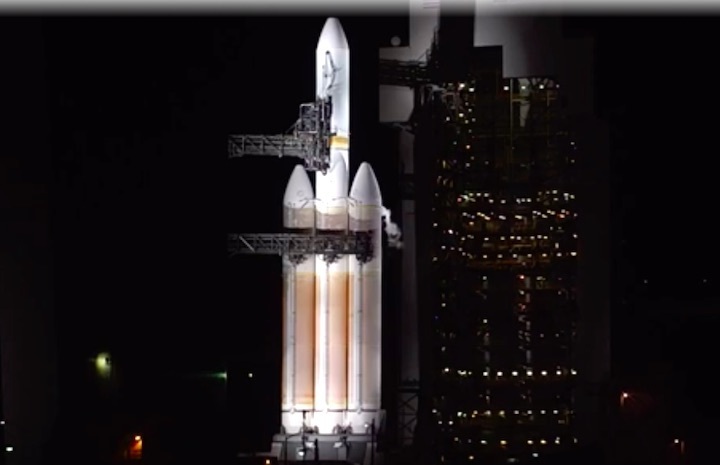 It is the 382nd Delta launch since 1960, the 38th for a Delta IV rocket since 2002 and the 11th Delta IV Heavy. 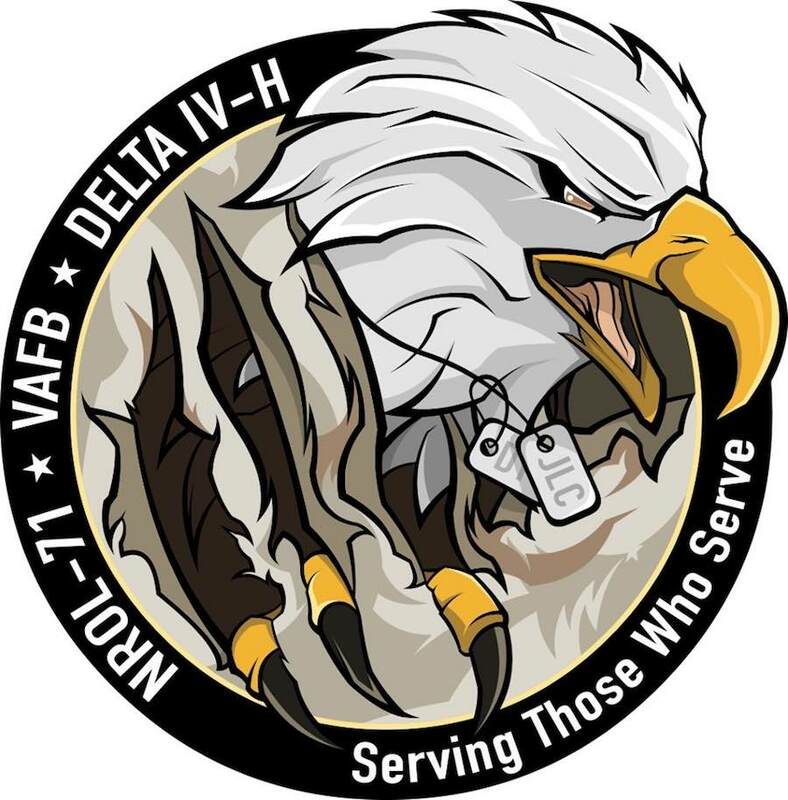 VANDENBERG AIR FORCE BASE, Calif., Dec. 5, 2018 /PRNewswire/ -- A United Launch Alliance (ULA) Delta IV Heavy rocket carrying a payload for the National Reconnaissance Office (NRO) will lift-off from Space Launch Complex-6 on Dec. 7 at 8:19 p.m. PT. 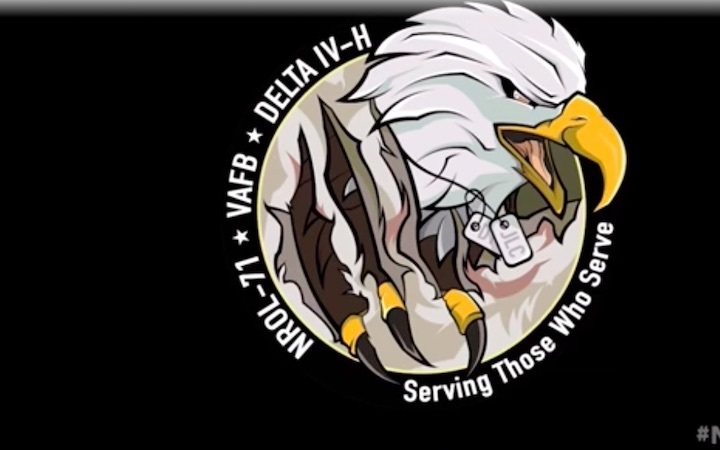 Designated NROL-71, the mission is in support of our country's national defense missions. The Delta IV Heavy is the nation's proven heavy lifter, delivering high-priority missions for the National Reconnaissance Office, U.S. Air Force and NASA. With an advanced upper stage, the Delta IV Heavy can deliver over 14,000 pounds directly to geosynchronous orbit, as well as a wide variety of complex interplanetary trajectories. "We are proud to launch this critical payload in support of our nation's national security mission," said Gary Wentz, ULA vice president of Government and Commercial Programs. "As the nation's premiere launch provider, the teams have worked diligently to ensure continued mission success, delivering our customer's payloads to the precise orbits requested." This Delta IV Heavy is comprised of three common booster cores each powered by an Aerojet Rocketdyne RS-68A liquid hydrogen/liquid oxygen engine producing a combined total of more than 2.1 million pounds of thrust. The second stage is powered by an AR RL10B-2 liquid hydrogen/liquid oxygen engine. To date ULA has a track record of 100% mission success with 131 successful launches. With more than a century of combined heritage, ULA is the world's most experienced and reliable launch service provider. ULA has successfully delivered more than 130 satellites to orbit that provide Earth observation capabilities, enable global communications, unlock the mysteries of our solar system, and support life-saving technology. 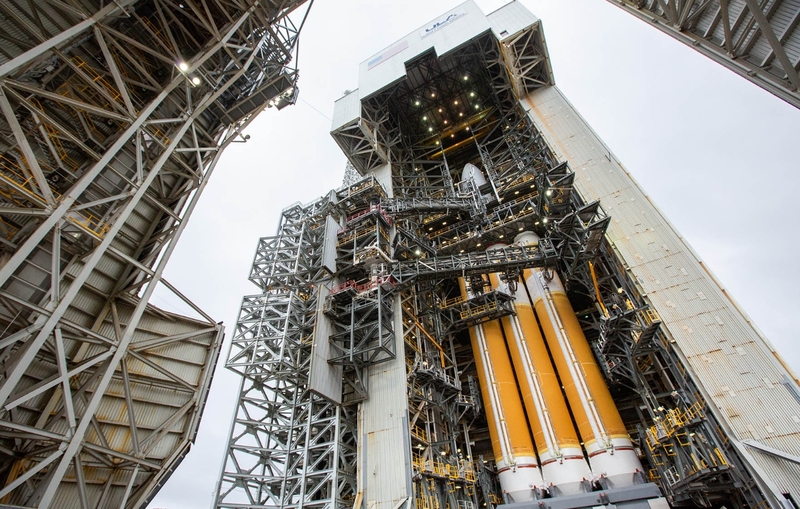 A behemoth Delta IV Heavy rocket continues marching toward liftoff Friday night from Vandenberg Air Force Base, but the launch team is keeping a close eye on the weather. The United Launch Alliance booster, which stands some 233 feet tall, will aim for departure at 8:19 p.m. from Space Launch Complex-6 on South Base. Since the rocket will deliver cargo for the National Reconnaissance Office — the mission is dubbed NROL-71 — the actual launch window remains top secret, but is not expected to extend beyond 9:38 p.m.
"Team V has put in a lot of hard work for this launch," said Col. Bob Reeves, 30th Space Wing vice commander. "We are dedicated to mission success and proud to work alongside United Launch Alliance and the National Reconnaissance Office." But weather may not cooperate. Forecasts have called for a 60-percent likelihood weather may interfere with blastoff plans, ULA representatives said. If the launch slips 24 hours, conditions improve slightly for Saturday night, with a 40-percent likelihood of conditions stopping the countdown before liftoff. On both days, the primary concern centers on ground winds expected to exceed limits, according to ULA. Delta IV Heavy use three common booster cores strapped side by side to provide more capability for carrying the nation’s largest spy satellites into space. Members of the 4th Space Launch Squadron focus on mission assurance while working with employees of ULA and others. "Every mission is unique, and this Delta IV Heavy launch is a prime example of teamwork with a laser focus on mission success," said Lt. Col. Kenneth Decker, 4th SLS commander and Air Force launch director for the mission. "Our mission assurance technicians and engineers have worked diligently with United Launch Alliance and the other mission partners to reduce risk in order to assure mission safety and security. The men and women of the 4 SLS are proud to contribute to this important mission." The booster will depart from the launch pad built for the West Coast space shuttle program, which was canceled before any blastoffs from that location. 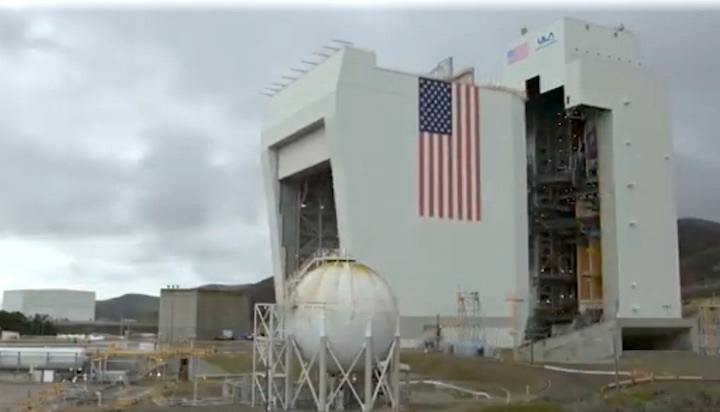 Unlike many of the other launch pads at Vandenberg, SLC-6 is tucked into a coastal valley and not visible from the normal viewing sites around the Lompoc Valley. However, spectators are expected to gather at the the peak of Harris Grade Road and other locations around Lompoc to catch a glimpse of the rocket after it rises above the hills. Due to safety reasons, Jalama Beach County Park will have a mandatory evacuation from 2:30 to 9 p.m. Friday. All campers will be relocated to the end of Jalama Road. Coincidentally, a Friday night rocket launch could come after the Lompoc Valley Children's Christmas Season Parade travels south on H Street. The procession with approximately 60 entries will start at 6 p.m. with the theme "Miracle on H Street." If the Delta IV Heavy departs, it will be the second launch of the week from Vandenberg, following Monday morning’s Falcon 9 blastoff with dozens of small satellites. 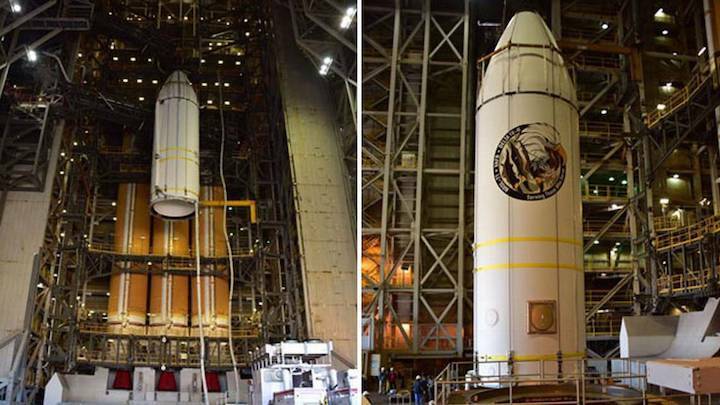 United Launch Alliance’s Delta IV Heavy rocket will try again on Saturday to launch the mysterious NROL-71 mission for the National Reconnaissance Office. Ahead of Friday’s launch window, ULA noted an issue with the hold-fire circuitry – specifically a redundant communication link between the control center and the launch site – required further work, scrubbing the initial launch attempt. Like most activities conducted by the United States National Reconnaissance Office (NRO), specifics of the NRO Launch 71 (NROL-71) mission are classified. The NRO is the organization that operates America’s fleet of reconnaissance and intelligence-gathering satellites, using a variety of spacecraft types and surveillance techniques to support national defense and security. Despite the classified nature of their operations, a combination of information published by the NRO itself and other government sources, leaks and observation of the satellites’ orbits and behavior has allowed different groups of satellites to be characterized and their purpose determined. Analysis of hazard areas published for maritime and aviation safety in advance of every launch, combined with a comparison of the type of rocket to be used to those that have orbited previous satellites, allows most NRO satellites to be identified before they even leave the ground – although occasionally a mission will throw a curveball. NROL-71 has proven one such mission. Before the launch time and hazard areas were published it was a safe bet that this launch would add a new member to the NRO’s fleet of KH-11, or Crystal, imaging satellites. Also formerly codenamed Kennen, Key Hole 11 (KH-11) spacecraft collect incredibly high-resolution images of the Earth’s surface and transmit them back to the ground for analysis. Originally developed in the 1970s, but upgraded over time, the KH-11 is among the largest satellites that the NRO operates and requires one of America’s most powerful rockets, the Delta IV Heavy, to place it into orbit. The near-polar sun-synchronous orbits used by Crystal satellites dictate that they must be launched from California, as to launch from Florida would either require the rocket to fly – and potentially drop debris – over land, or to avoid this by making a dogleg maneuver which would affect its performance. As Crystal is the only type of satellite to have launched aboard a Delta IV Heavy from the West Coast, the launch was widely expected to carry a replacement for the oldest satellite in the constellation. But instead of the south-westerly trajectory required to reach Crystal’s sun-synchronous orbit, hazard areas for the NROL-71 mission show that the rocket will follow a south-easterly track towards an orbit inclined at about 74 degrees. Aside from a 2010 technology demonstration mission, no US military satellite has operated in an orbit close to this inclination since 1971. That 2010 mission was STPSat-2, which was flown in a 72-degree orbit by the Space Test Program to test sensors and data relay systems in space. It is unlikely to be related to the NROL-71 mission. Before 1971 a 75-degree orbit was used for a small proportion of the NRO’s fleet of KH-4 Corona imaging satellites as well as seven “heavy ferret” electronic signals intelligence (ELINT) satellites and two photoreconnaissance satellites of the short-lived KH-6 Lanyard project. The Soviet Union operated Zenit photoreconnaissance satellites in 73-degree orbits from 1966 until 1989, along with ELINT, calibration, communications and geodesy satellites in similarly-inclined orbits whose launches were continued by Russia until the early 2000s. The use of a Delta IV Heavy means that the NROL-71 payload must either by too heavy to be deployed by any of the other rockets qualified to carry out the NRO’s most expensive and critical missions or destined for a sufficiently high orbit as to require the services of this behemoth rocket. The only high orbits typically of value for reconnaissance are an elliptical Molniya orbit, which allows eavesdropping satellites to loiter over high latitudes for much of their time, and geostationary orbit. NROL-71 will target neither of these – Molniya orbits require a precise inclination of 63.4 degrees, while geostationary trajectories require that the rocket launch almost due East which is not practical from Vandenberg – meaning that its payload is likely a heavy satellite. Despite the unusual orbit, a KH-11 is still a likely candidate for the identity of the NROL-71 payload. The less-inclined orbit could allow the satellite to spend more time over lower latitudes instead of passing over the polar oceans and icecaps. Not having the satellite in a sun-synchronous orbit would also allow it to view areas of interest at different times of the day with objects on the surface casting shadows in different directions. A Crystal in such an orbit could be intended to compliment the sun-synchronous element of the constellation, or may signal a move away from SSO for this program. If NROL-71 does deploy a Crystal satellite, it will be the seventeenth such spacecraft to launch. The KH-11 was developed as a continuation to the long-running series of Key Hole satellites that had begun with early Corona imaging spacecraft in the 1950s. It was the first Key Hole not to use film capsules, downlinking images electronically instead of physically sending them back to Earth for processing. The first KH-11, OPS 5705, was deployed by a Titan rocket in December 1976. Initially KH-11 operated alongside the film-return KH-8 Gambit and KH-9 Hexagon satellites, which provided high-resolution and wide-area imaging capabilities respectively, but eventually the new satellites assumed both of these roles. 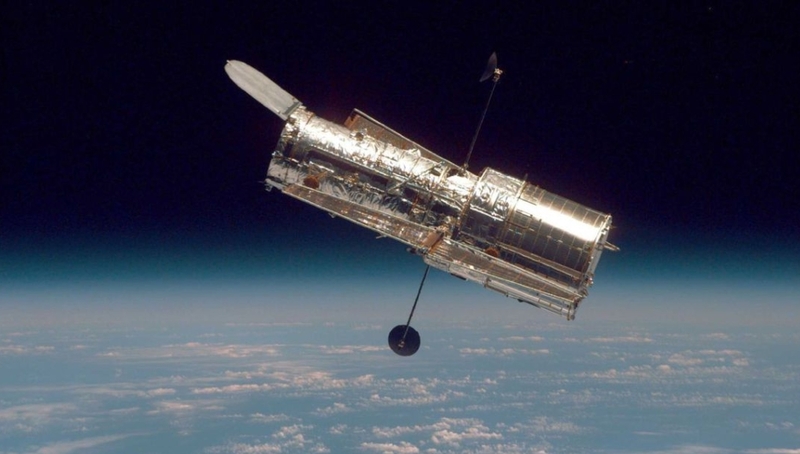 The design of the Hubble Space Telescope was reportedly influenced by Crystal, with Hubble’s mirrors being designed to take advantage of production techniques – and possibly hardware – developed for the reconnaissance programme. The KH-11 satellites are also said to have similar proportions and appearance to Hubble. Four distinct “blocks” of KH-11 satellites have been identified. The first two blocks consisted of five and four satellites respectively, launched aboard Titan III(34)D rockets. Block III was designed to be launched by the Space Shuttle, however following the loss of Challenger polar-orbit Shuttle missions were abandoned and the Titan IV rocket was developed instead. The most recent upgrade, Block IV, was first flown in 2001. The fourteenth Crystal mission, NROL-20 or USA-186, was launched by the final Titan IV rocket and was expected to be the last KH-11 to fly. The National Reconnaissance Office had intended to procure a next-generation optical imaging satellite through its Future Imagery Architecture (FIA) program, but after this collapsed the agency purchased two additional KH-11s, built in part from leftover spares, to serve as a stopgap until a new system could be developed. 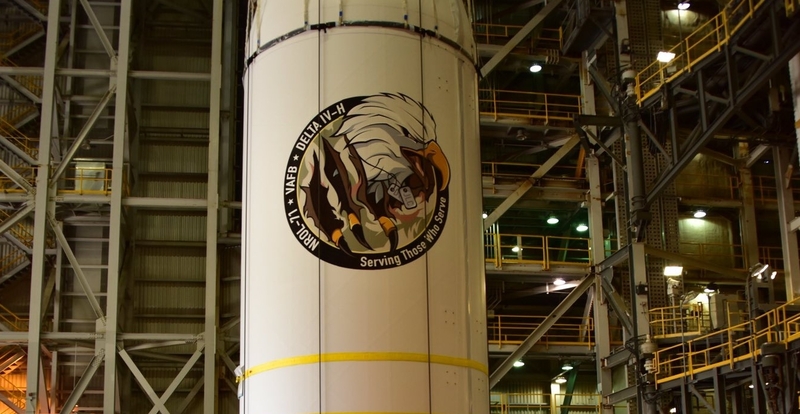 When the first of these launched, aboard a Delta IV Heavy in 2011, its mission patch bore the Latin inscription “melior diabolus quem scies” – better the devil you know. More recent rumors have suggested that the NRO has opted to buy a fifth generation of Crystal satellites instead of developing a replacement from scratch. 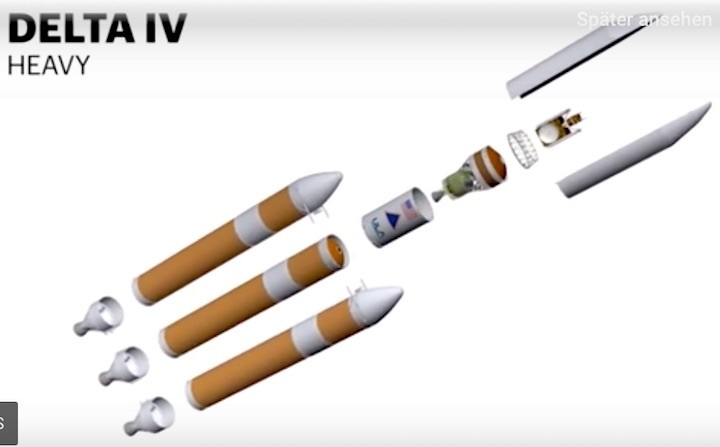 These could incorporate more modern technologies and benefit from the increased performance of Delta IV over Titan IV to carry more fuel, which would allow them to maintain lower orbits than their predecessors. If NROL-71 is a KH-11, it will certainly be the first member of this new generation. Another possibility is that NROL-71 may be a successor to the stealthy Misty imaging satellites that were launched in 1990 and 1999. 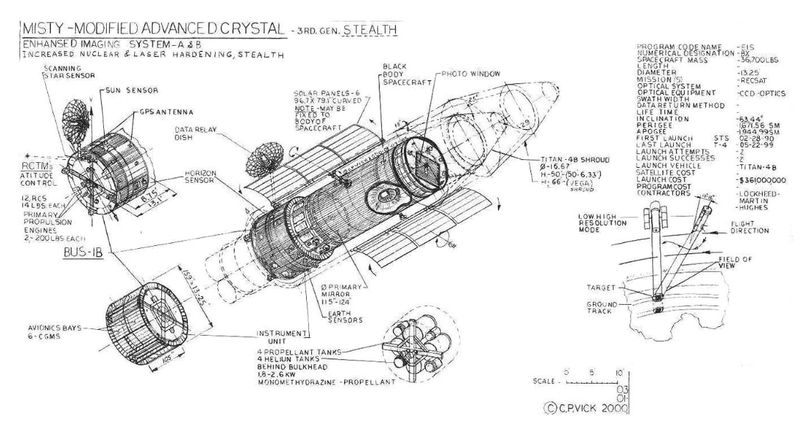 Believed to be an offshoot of the Crystal series, the first Misty satellite was USA-53, deployed from Space Shuttle Atlantis during 1990’s STS-36 mission. After deployment, USA-53 shed debris – leading to reports that it had failed – and maneuvered to a different orbit. During its lifetime, amateur observers lost track of – and subsequently rediscovered – Misty several times with the last sighting in 1997. 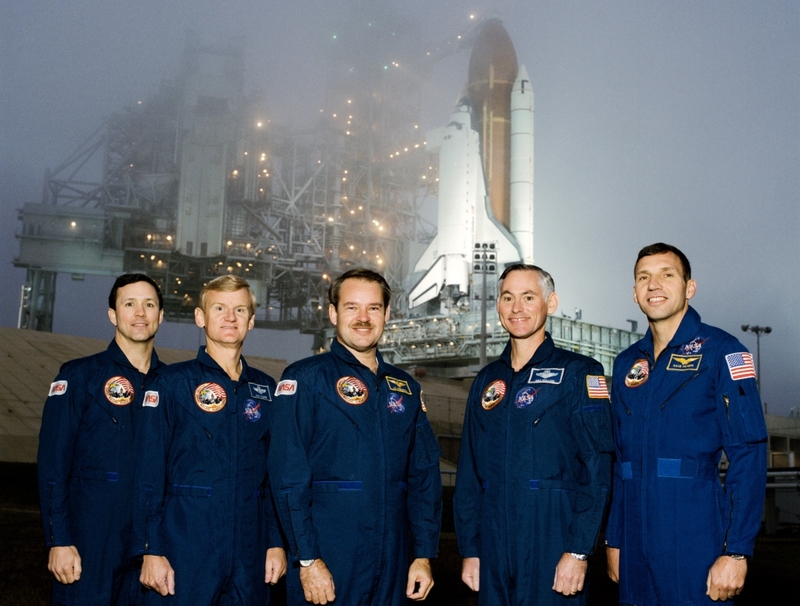 A second Misty, USA-144, was launched in May 1999 aboard a Titan IV(404)B. After deployment the satellite released a decoy and then disappeared – despite the efforts of the amateur satellite watching community, USA-144 was never found. It is unclear whether this spacecraft is still in orbit. The Misty satellites operated in orbits with significantly lower inclination than Crystal: USA-53 used a 65-degree orbit and USA-144 was deployed into a 63-degree orbit, although its final destination is unknown. They are believed to be among the most expensive satellites ever launched, and development of a third Misty satellite was canceled in the mid-2000s due to the project’s cost. 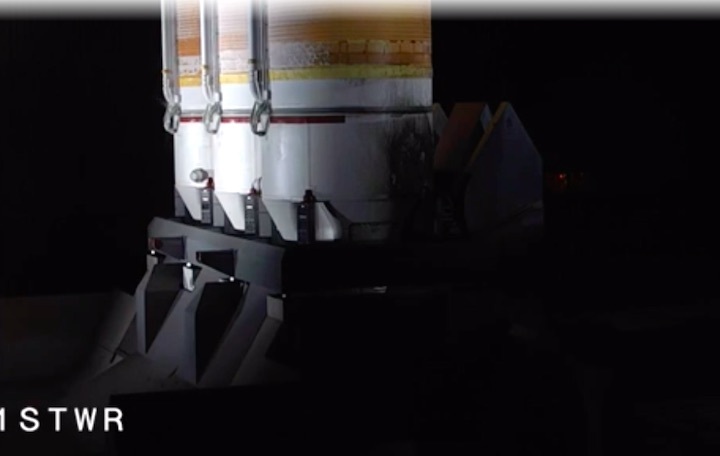 Observations of the NROL-71 payload, which is expected to be named USA-289 once it reaches orbit, will likely reveal more about its identity and mission. A lack of observations could point towards it being another Misty satellite. 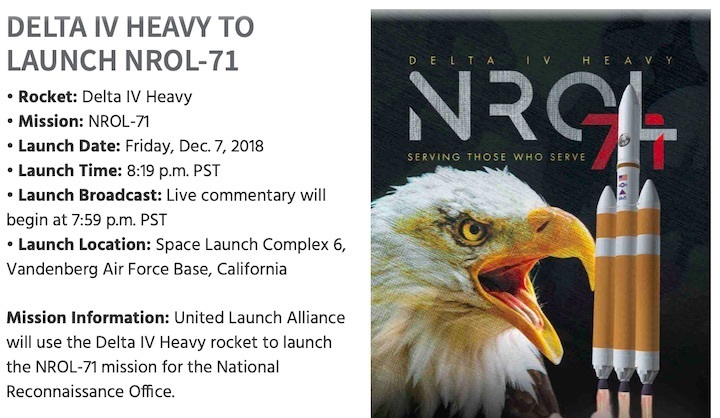 The Delta IV Heavy that will be used for the NROL-71 mission is the heaviest rocket currently certified to carry out national security launches of this nature. A two-stage vehicle, Delta IV consists of a Common Booster Core (CBC) first stage and a Delta Cryogenic Second Stage (DCSS), which both burn cryogenic propellant: liquid hydrogen and liquid oxygen. The rocket can be flown in five different configurations depending on the mass and dimensions of its payload and the target orbit. The smallest of these, the Delta IV Medium, used a four-meter diameter upper stage and no boosters, while three Medium+ versions – M+(4,2), M+(5,2) and M+(5,4) added two or four solid rocket motors and in the latter two cases a five-meter upper stage. The Delta IV Heavy uses three Common Booster Cores strapped together, with the center core operating at partial thrust for much of its flight to extend its burn beyond that of the two outboard cores. It is the only version of the Delta that is expected to continue flying past the end of next year, as the Medium configuration has already been retired and the Medium+ versions of the rocket are being phased out. United Launch Alliance will instead focus on offering launch services in these classes with its Atlas V rocket, before introducing a new rocket – Vulcan – to replace both Atlas and Delta in the family. 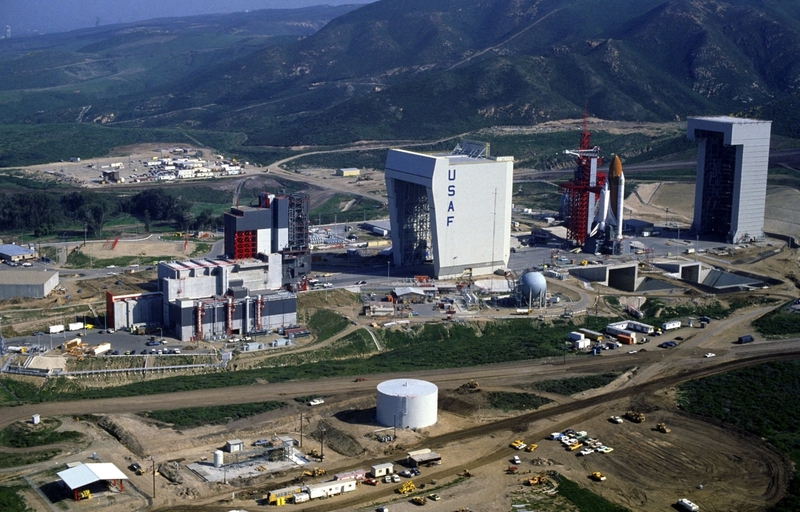 The launch will use the west-coast Delta IV launch pad, Space Launch Complex 6 (SLC-6) at Vandenberg Air Force Base. SLC-6 was originally developed in the 1960s for the Titan family of rockets, specifically to support the Manned Orbiting Laboratory (MOL) military space station. When MOL was canceled, SLC-6 was mothballed. It would later be reconstructed to support Space Shuttle missions to polar orbits, however risk reduction following the Challenger accident eliminated these plans and the complex once again went unused. The first launch from SLC-6 finally came in August 1995, when Lockheed launched the first flight of the Lockheed Launch Vehicle 1 (LLV-1), which would later be named Athena. This launch failed, and while the next launch from the pad successfully placed NASA’s Lewis satellite into orbit the payload suffered an unrecoverable malfunction three days later. This, along with another launch failing in April 1999, led to a myth that the launch pad was cursed. The fourth and final Athena mission from SLC-6, in August 1999, successfully delivered a healthy satellite to orbit. 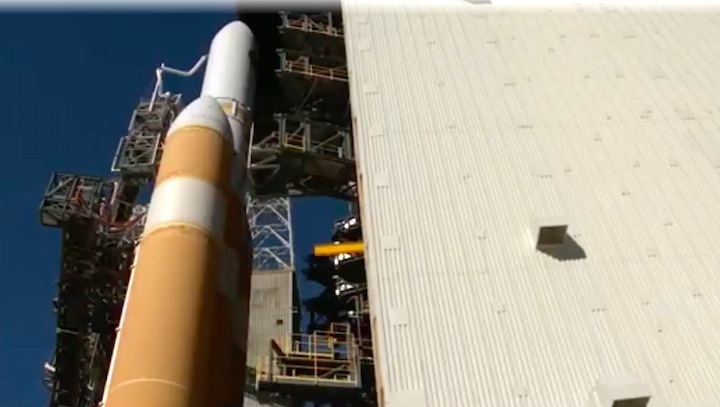 Boeing began converting SLC-6 for its Delta IV rocket in the early 2000s. Delta first used the complex in June 2006 and has made seven launches from Vandenberg prior to this mission, two of which have been in the Heavy configuration. This will be the first west-coast launch for a Delta IV Heavy with RS-68A engines, an upgraded version of the RS-68 Overall, this launch will be the thirty-eighth flight of Delta IV and the eleventh Heavy. 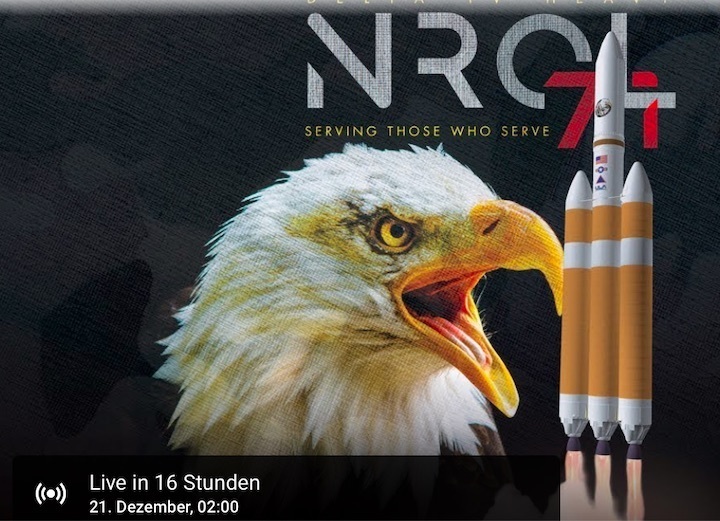 The NROL-71 launch will begin with the ignition of the RS-68A engines that power the three Common Booster Cores. The starboard core will ignite seven seconds before the scheduled liftoff, with the port and center boosters igniting two seconds later at T-5. 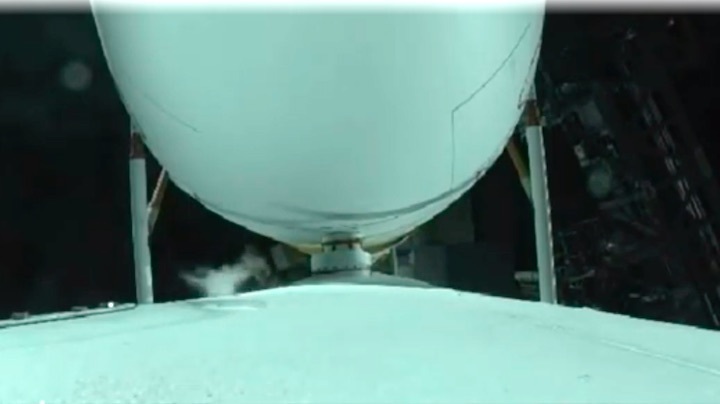 This staggered ignition is intended to mitigate a fireball that can form around the rocket on startup as a result of hydrogen boiling off the rocket. Liftoff will occur at the zero mark in the countdown. After pitching over onto a south-easterly azimuth of about 168 degrees, Delta IV will pass through the area of maximum dynamic pressure – Max-Q – shortly before it reaches Mach 1 – the speed of sound – 82 seconds into the flight. The three CBCs will power the rocket for the first three minutes and fifty-six seconds of the flight, with the port and starboard boosters burning at full thrust and the center core at partial thrust. When the two outboard cores deplete their propellant, their engines will shut down, and the spent cores will separate two seconds later. Once the port and starboard boosters have separated, the center core will throttle up and burn at full power for most of the remaining two minutes of first-stage flight. Seven seconds after main engine cutoff (MECO), the first stage will be jettisoned and the second stage will enter its prestart sequence. The RL10B-2 engine will ignite twelve seconds after stage separation. Eleven seconds later, Delta IV’s payload fairing will separate from the nose of the rocket, exposing the payload to space for the first time. Owing to the classified nature of this mission, United Launch Alliance has not published a timeline for mission events following fairing separation and as is normal for NRO flights all official coverage of the mission is expected to conclude at this point other than a press release confirming a successful launch some time after spacecraft separation. The second stage will likely make a single burn, lasting around 12 minutes, before separating its payload into low Earth orbit. An additional launch hazard area to the northwest of Vandenberg suggests that the second stage will be deorbited into the Pacific shortly after separation. This launch is the last of 2018 for United Launch Alliance, ending a year in which the company has flown four Atlas V and three Delta IV rockets, as well as the final flight of its venerable Delta II vehicle. 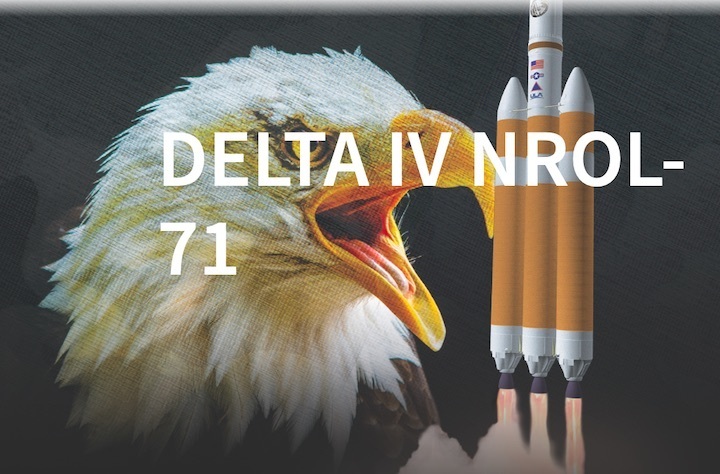 NROL-71 is the second launch of the year to use a Delta IV Heavy, following the deployment of NASA’s Parker Solar Probe in August. 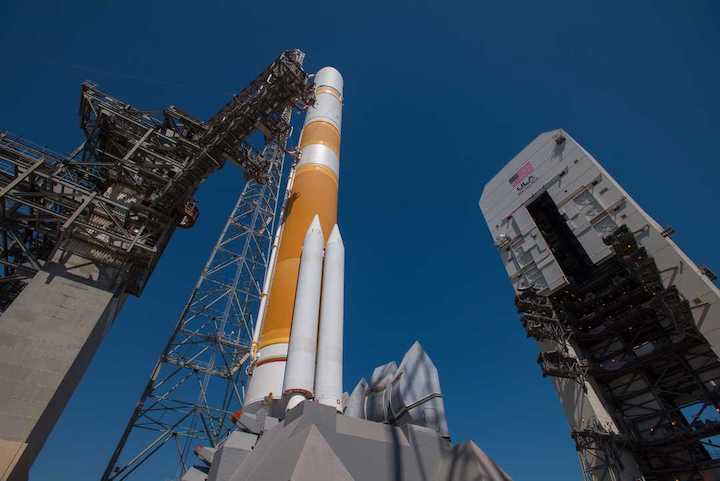 The next launch for both United Launch Alliance and the Delta IV is currently slated for 23 January, when the rocket’s Medium+(5,4) configuration will be used for the last time to loft a Wideband Global Satcom communications satellite for the US Air Force. The next Delta IV Heavy mission is expected to fly from Vandenberg in mid-2020. 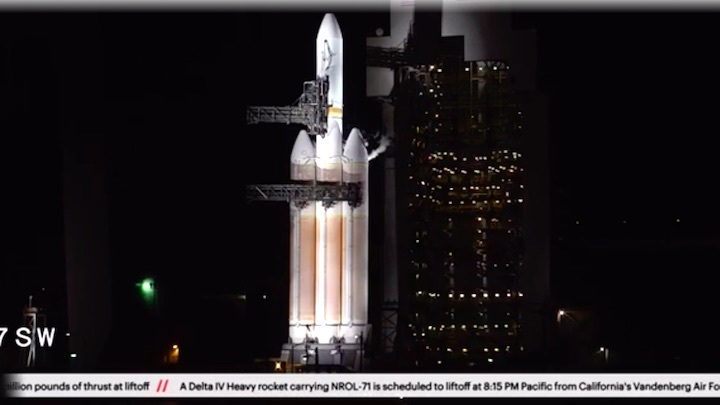 (Vandenberg Air Force Base, Calif., Dec. 8, 2018) –The launch of a United Launch Alliance Delta IV Heavy carrying the NROL-71 mission for the National Reconnaissance Office was scrubbed today due to an unexpected condition during terminal count at approximately 7.5 seconds before liftoff. The team is currently reviewing all data and will determine the path forward. A new launch date will be provided when available. Today's launch attempt has been scrubbed and detanking of the cryogenic propellants from the launch vehicle is beginning. A new launch date has not yet been established. Flares had already ignited at the base of the 23-story-tall rocket to burn away excess hydrogen gas, a routine safety precaution, when the abort was ordered. It came a half second before the first of the Delta 4 Heavy's three side-by-side Common Booster Core engines was scheduled to ignite and throttle up to full thrust, followed two seconds later by the center and left-side CBCs. 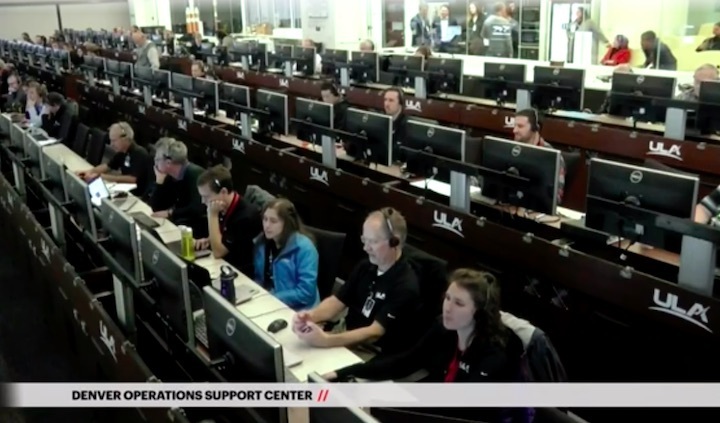 Instead, a flight controller called out "hold, hold, hold" as the countdown came to a halt. Flames from the hydrogen igniters rose from the base of the rocket as they continued to burn for a few moments, a somewhat scary sight given the 1.6-million-pound rocket was loaded with 465,000 gallons of liquid hydrogen and oxygen propellants. But United Launch Alliance engineers quickly "safed" the vehicle and re-cycled the countdown to the T-minus 4-minute mark while they reviewed telemetry. A few minutes later, the flight was scrubbed for the day, and engineers begin off-loading the Delta's load of fuel. ULA did not set a new launch date or provide any immediate details about what triggered the abort. As a result, it was not immediately known what sort of inspections or repairs might be needed before a second launch can be attempted. 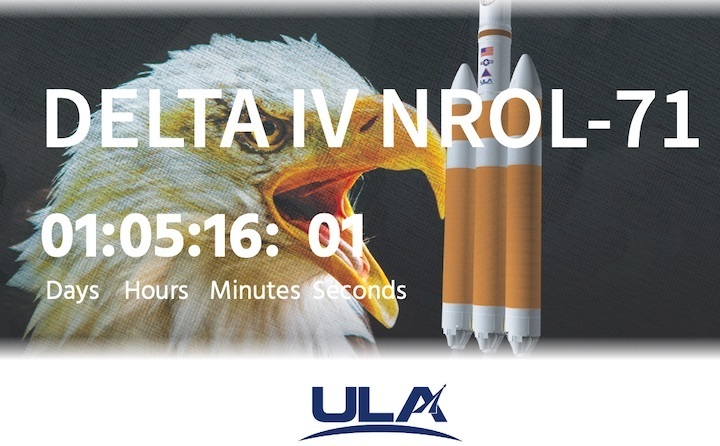 This was set to be ULA's ninth launch of 2018 and the second in a row of the huge Delta 4 Heavy. The identity of the satellite payload, known as NROL-71, is classified, but independent analysts speculate it may be an advanced imaging reconnaissance spacecraft bound for an unusual near-polar orbit. 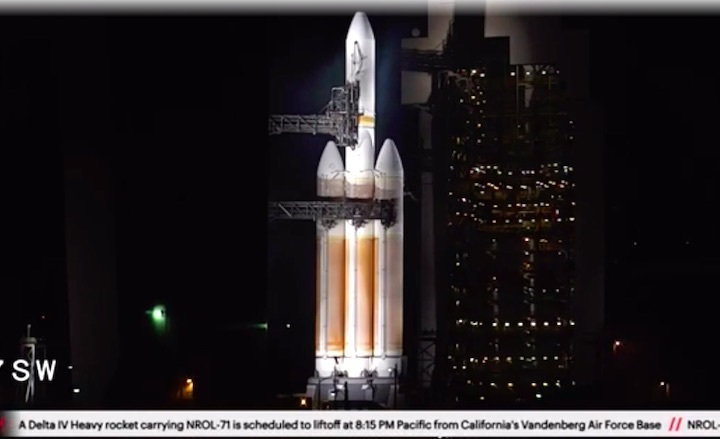 For the second night in a row, technical troubles have forced the Delta IV Heavyteam to scrub a launch attempt at Vandenberg Air Force Base. 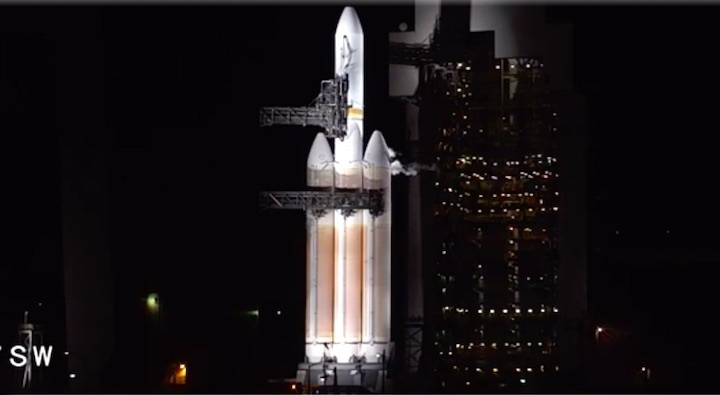 Seven seconds before blastoff at 8:15 p.m. Saturday, a problem detected by the “terminal countdown sequencer rack” prompted a team member to call for a hold, aborting the planned launch. A short time later, United Launch Alliance representatives confirmed the team had ended the countdown and began chores to safe the 233-foot-tall rocket at Space Launch Complex-6 on South Base. ULA officials remained mum Sunday about a new launch date and no new mariners' notices have been issued. Presumably, the team did not have time to assess the problem and fix it if needed before Saturday’s launch opportunity expired. Rocket launches typically have a limited time to get off the ground each day so their payloads can be placed where needed in space. 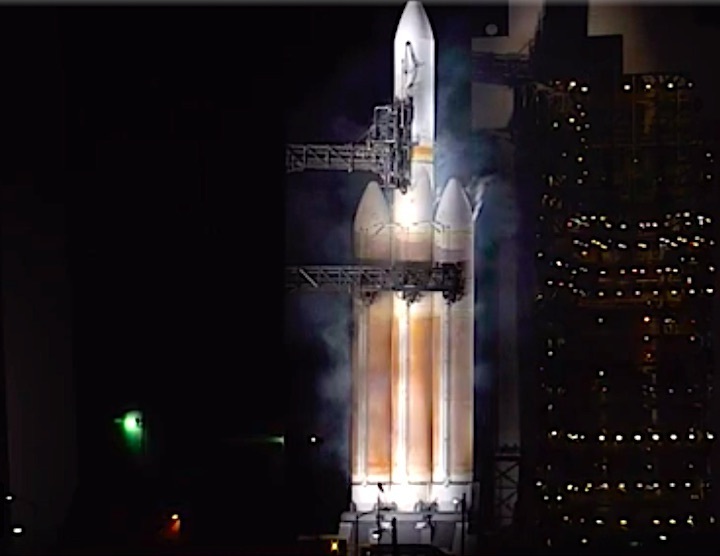 Since the Delta IV Heavy will carry a top-secret payload to space for the National Reconnaissance Office, the actual launch window remains top secret but likely spans less than an hour. Saturday’s countdown initially aimed for an 8:06 p.m. launch but the team needed time to troubleshoot an unidentified issue earlier Saturday, prompting mission managers to establish a different launch time. The scrubbed launch attempt was the second delay of the week. Approximately three hours before the planned blastoff Friday night, a glitch involving a redundant communication link between the control center and the launch site forced the first scrub. Vandenberg began the week with a Falcon 9 rocket launch of 64 spacecraft from Space Launch Complex-4 on South Base. 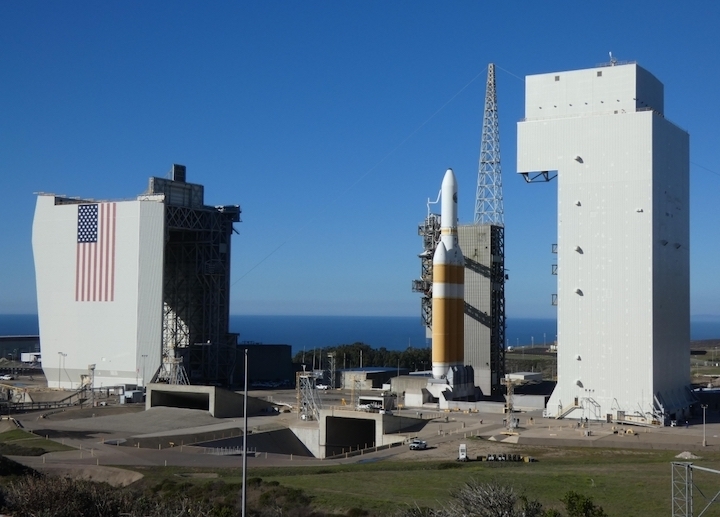 A new launch date for the Delta IV Heavy rocket at Vandenberg Air Force Baseremains up in the air, but the highly anticipated blastoff is not expected this week. 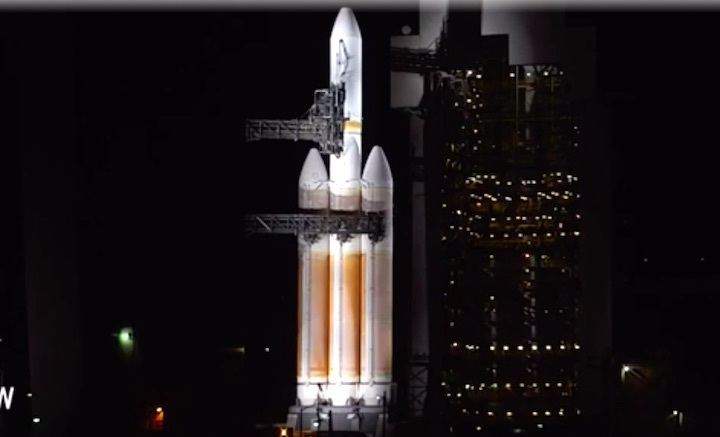 The countdown during Saturday night’s launch attempt was aborted by a glitch approximately 7 seconds before the Delta IV Heavy rocket’s departure from Space Launch Complex-6 on South Base. The huge rocket will carry at top-secret payload for the National Reconnasisance Office, a mission dubbed NROL-71. The Delta IV Heavy rocket, manufactured by United Launch Alliance, sits at Space Launch Complex-6 on South Base. Several false dates have circulated on social media since the weekend. In addition to a lack of confirmation that the launch had been rescheduled, many normal signs of a looming launch attempt, such as notices warning airmen and mariners to remain out of the area, also have been absent. The team initially targeted a Dec. 7 launch but encountered technical troubles in the middle of the countdown. The problem was pinpointed to a redundant communication link between the control center and the launch site, but it was resolved in time to begin counting down for a possible Saturday launch. 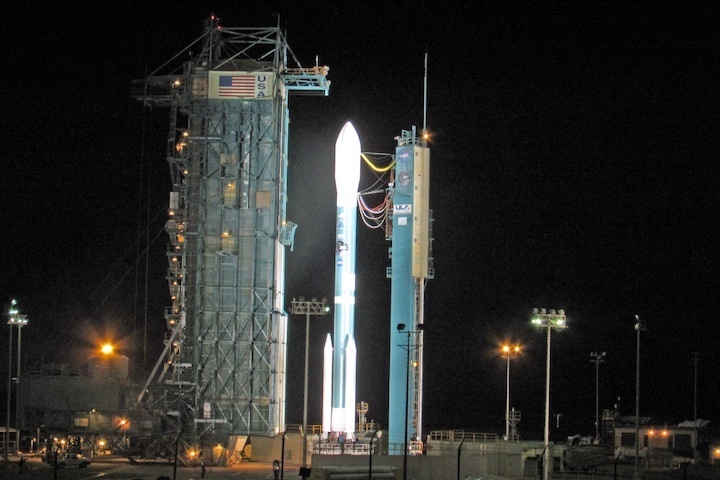 On Saturday night, another problem prompted an abort of the countdown seconds before liftoff. ULA representatives blamed the problem on an unexpected condition detected in the final seconds before blastoff. After a glitch that arises during the countdown, the team needs time to assess the problem and make any repairs, if needed. The latest delay falling seconds before blastoff likely added complexities to their post-scrub review. The Delta IV Heavy employs three common booster cores, each powered by an Aerojet Rocketdyne RS-68A liquid hydrogen/liquid oxygen engine producing a combined total of more than 2.1 million pounds of thrust, allowing the behemoth booster to carry some of the largest national security payloads into space. By Janene Scully, Noozhawk North County Editor | @JaneneScully | December 13, 2018 | 10:44 a.m. 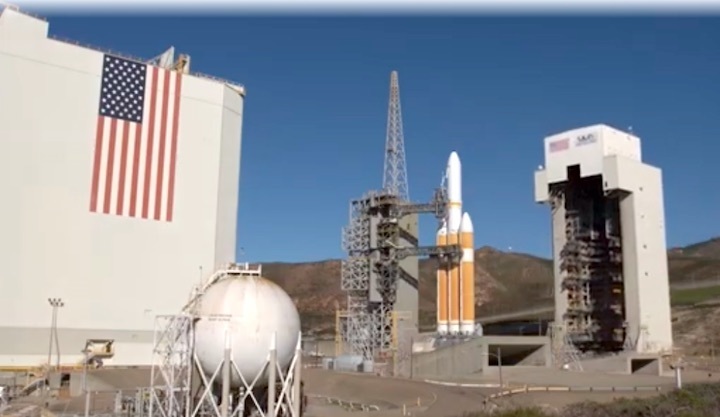 The highly anticipated Delta IV Heavy rocket at Vandenberg Air Force Base will get another chance at liftoff Tuesday evening. The United Launch Alliance rocket blastoff is planned for 5:57 p.m. from Space Launch Complex-6 on South Base. The team tried twice last week, but technical glitches foiled both attempts Friday and Saturday nights, leading to a delay of more than a week. The rocket will carry a National Reconnaissance Office spacecraft into orbit for a mission dubbed NROL-71. Due to the top-secret payload, the launch window was not released, but lasts less than an hour. 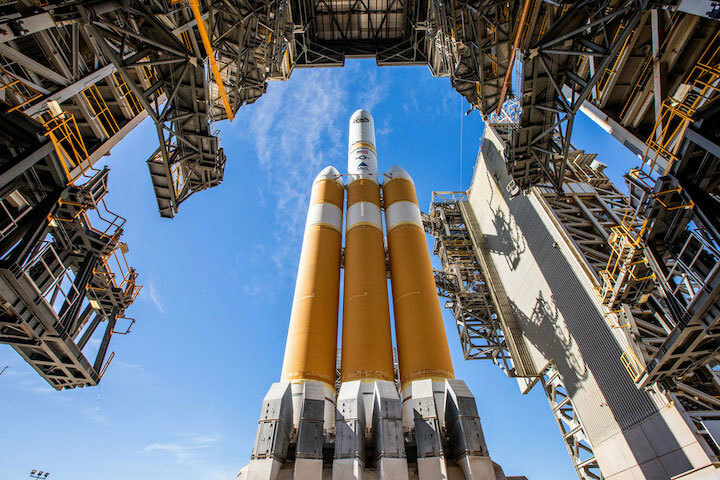 Equipped with three common booster cores strapped side by side, the Delta IV Heavy is designed to carry some of the county’s biggest national security payloads. The rocket employs the launch pad initially built for the West Coast space shuttle program canceled before any liftoffs occurred. 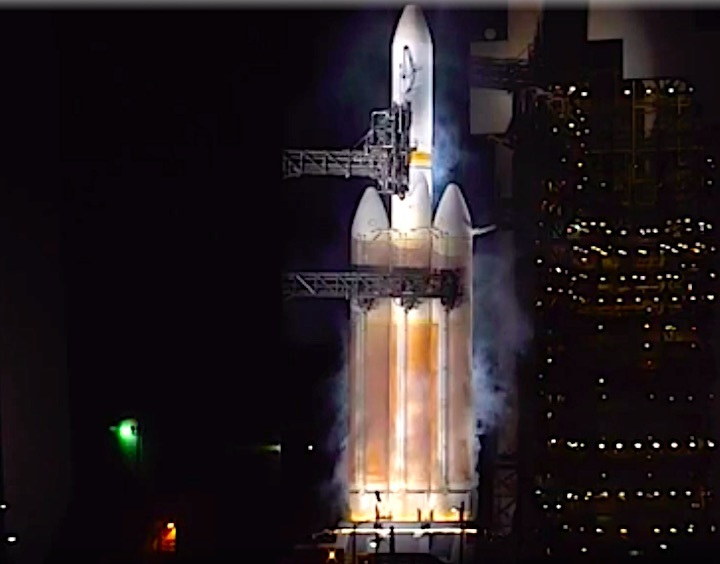 Launch spectators may get an extra gift from this mission since the Delta IV Heavy’s departure near sunset could create a twilight phenomenon if conditions are suitable. A twilight phenomenon occurs following rocket or missile launches 60 minutes before sunrise or after sunset when exhaust particles from propellant left in the contrail of a launch vehicle condenses, freezes and then expands in the less dense upper atmosphere. The exhaust plume mixed with high sunlight can create a colorful contrail visible from miles away, and sometimes is mistaken for a failed launch. In some cases, the twilight effect is more dramatic for those several hundred miles away from Vandenberg. A Falcon 9 rocket launch last year generated the twilight phenomenon, leaving some Los Angeles area residents to think it was an unidentified flying object. For safety reasons, Jalama Beach County Park will be evacuated several hours ahead of the launch. However, several locations around the Lompoc Valley offer views of the launch, including the western end of Ocean Avenue, the peak of Harris Grade Road, near the intersection of Moonglow and Stardust roads and other sites. After unusual concentrations of hydrogen around the rocket foiled a launch attempt Dec. 19, United Launch Alliance said Friday that the company’s powerful Delta 4-Heavy launcher and a U.S. government spy satellite will remain grounded in California until at least Jan. 6 as engineers troubleshoot a small fuel leak. 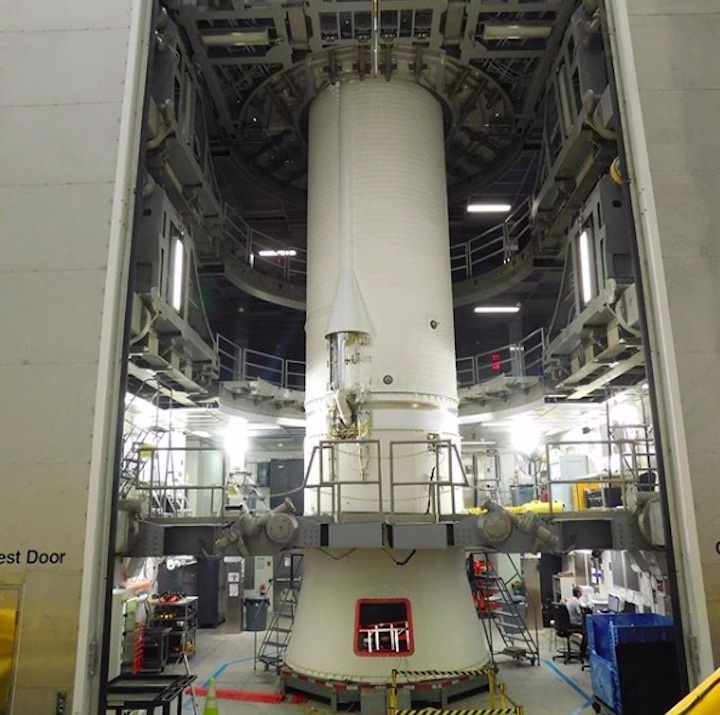 ULA has tried to send the Delta 4-Heavy skyward four times since Dec. 7, but technical problems and unfavorable weather have kept the rocket on its launch pad at Vandenberg Air Force Base, California. A top secret payload is fastened to the top of the Delta 4-Heavy for the National Reconnaissance Office, which owns the U.S. government’s surveillance and intelligence-gathering satellites. Analysts believe the spacecraft awaiting launch on the Delta 4-Heavy, whose mission is known only by the codename NROL-71, is likely a very high-resolution imaging satellite with an Earth-facing telescope built to collect sharp pictures of strategic sites, battlefields and other targets around the world. The Delta 4 team called off a Dec. 7 launch attempt to investigate a glitch in the the holdfire system that would allow safety officers to abort a liftoff. On Dec. 8, the Delta 4’s automatic countdown sequencer halted the clock at T-minus 7.5 seconds, just before the rocket’s three RS-68A main engines were supposed to ignite. The Delta 4-Heavy was filled with around 465,000 gallons of super-cold liquid hydrogen and liquid oxygen to feed the rocket’s three Aerojet Rocketdyne RS-68A main engines, and an upper stage RL10 engine also made by Aerojet Rocketdyne. 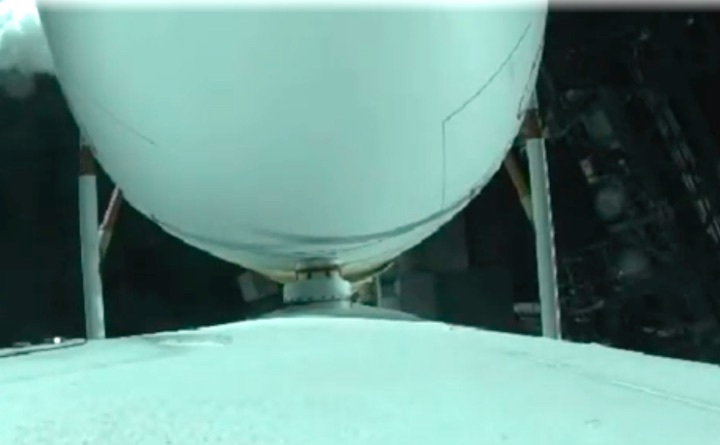 Sniffer sensors around the launch pad indicated higher-than-expected levels of hydrogen gas around the base of the rocket, prompting ULA’s launch team to postpone the launch in the final minutes of the countdown. Standing 233 feet (71 meters) tall, the Delta 4-Heavy is the biggest rocket in ULA’s fleet of Atlas and Delta launchers. Fully fueled, the rocket weighs 1.6 million pounds and will be driven off the launch pad with 2.1 million pounds of thrust from its three main engines. ULA initially aimed to try again to launch the Delta 4-Heavy as soon as Dec. 30, but the company said in a brief statement Sunday that the mission would be pushed back to no earlier than Jan. 6. The statement from ULA offered no details on the reason for the longer delay. With the delay at Vandenberg, ULA will end 2018 with eight launches — five Atlas 5s, two Delta 4s and a Delta 2. 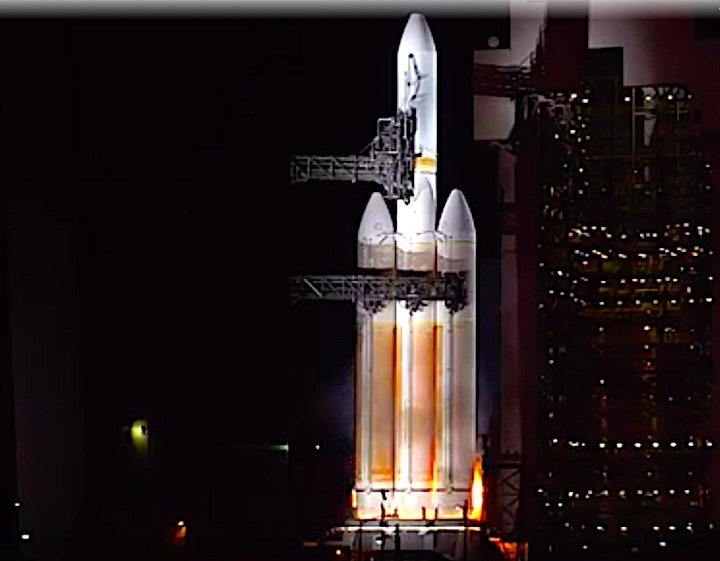 ULA’s rockets blasted off from Cape Canaveral five times, and from Vandenberg three times this year, including the launches of two major NASA science missions — the InSight lander to Mars on May 5 on an Atlas 5 from California, and the Parker Solar Probe on Aug. 12 aboard a Delta 4-Heavy from Florida. 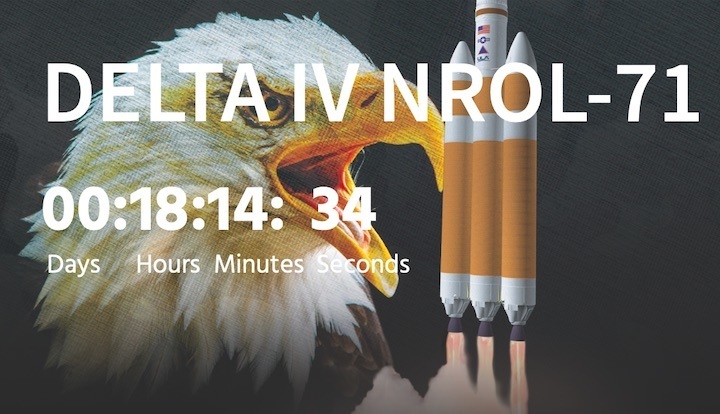 Based on the movement of the Delta 4-Heavy’s launch time each day — a launch window bounded by the orbit targeted by the rocket and its payload — liftoff on Jan. 6 is likely scheduled around 1:50 p.m. PST (4:50 p.m. EST; 2150 GMT). A Falcon 9 rocket built and operated by ULA rival SpaceX was previously set for liftoff from a nearby launch pad at Vandenberg on Jan. 7 carrying 10 Iridium voice and data relay satellites, the last of a set of 75 upgraded commercial Iridium spacecraft launched by SpaceX since January 2017. Iridium CEO Matt Desch wrote Thursday on Twitter that the launch remained scheduled for Jan. 7 at 7:53 a.m. PST (10:53 a.m. EST; 1553 GMT). The Air Force-run Western Range at Vandenberg typically requires a day or two to reconfigure safety and tracking assets between rockets, raising questions about whether the Falcon 9 launch was postponed, or if the Delta 4-Heavy on a national security mission might take priority over a commercial SpaceX launch. In a subsequent tweet Friday after ULA’s announcement, Desch wrote that he has not heard of any delays in Iridium’s launch. The 10 satellites, built by Thales Alenia Space and Northrop Grumman, are at Vandenberg, fueled with maneuvering propellant, mated to their dispensers and encapsulated inside the Falcon 9’s payload shroud, Desch said. The NROL-71 and Iridium missions will be the first launches of 2019 for ULA and SpaceX. 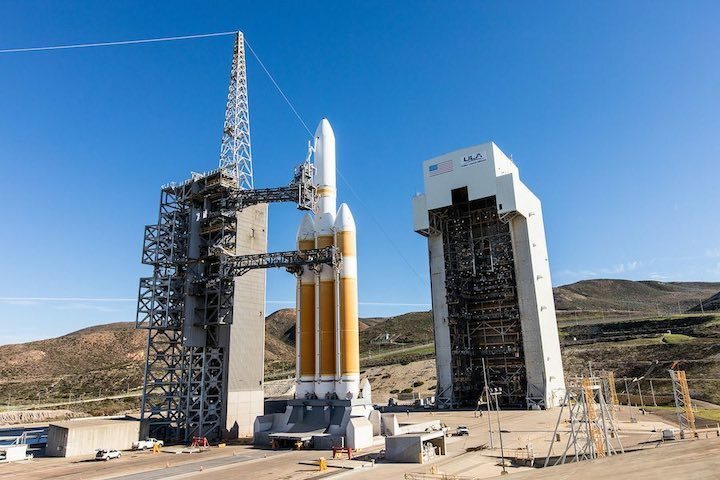 The wait for the Delta IV Heavy rocket’s departure from Vandenberg Air Force Basewill stretch into the new year, United Launch Alliance representatives announced Friday.. The next attempt won’t occur before Jan. 6, ULA officials said. The team initially hoped for a Dec. 30 launch, but canceled mariners’ notices on Wednesday, indicating this weekend’s launch attempt would not occur. The behemoth booster is set to carry clandestine cargo for the National Reconnaissance Office, with a mission labeled NROL-71. Efforts to launch this rocket have been foiled by technical troubles and unfavorable weather since Dec. 7. During the most recent attempt, on Dec. 19, the countdown was scrubbed due to a hydrogen leak. The countdown ended when the team spotted indications of elevated hydrogen concentrations within the port booster engine section. ULA representatives remained mum about the status of finding and fixing the cause of the hydrogen leak. The delay means that Delta IV Heavy might be Vandenberg’s first launch of 2019, instead of the last launch of 2018. Delta IV rockets fly from Space Launch Complex-6 on South Base. 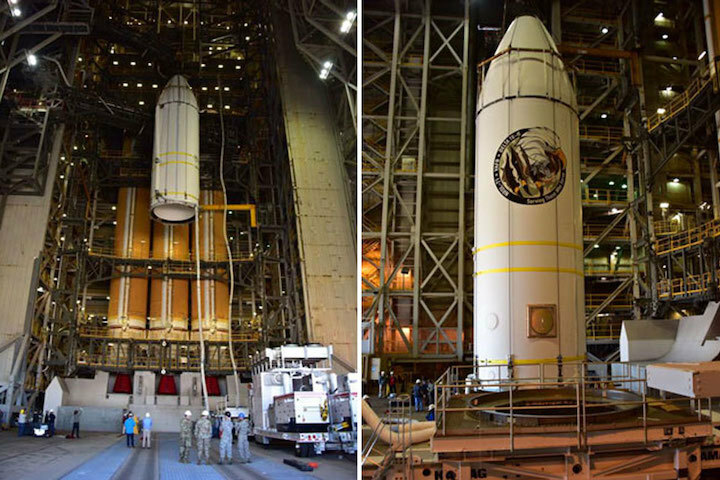 The Delta IV Heavy features three common booster cores strapped side by side to allow the rocket to carry the largest national security payload into orbit. Its sibling rocket features one common booster core. However, Space Exploration Technologies reportedly continues to target Jan. 7 for its eighth and final Iridium Next launch from Vandenberg. 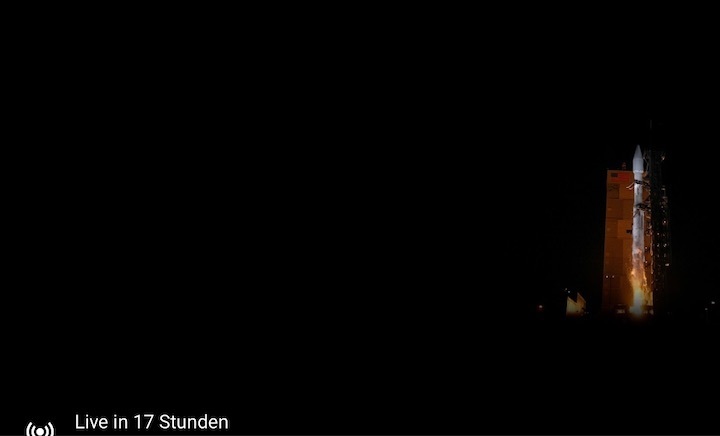 The Falcon 9 rocket blastoff with 10 second-generation commercial communication satellites from Space Launch Complex-4 on South Base is planned for 7:53 a.m. Jan. 7. The planned liftoff of a United Launch Alliance Delta IV rocket from Cape Canaveral has been delayed to February, according to Air Force Space Command. Originally planned for Jan. 23, the mission to launch a military communications satellite was pushed back to an unannounced date next month, giving teams more time to prepare the rocket and payload at Launch Complex 37. 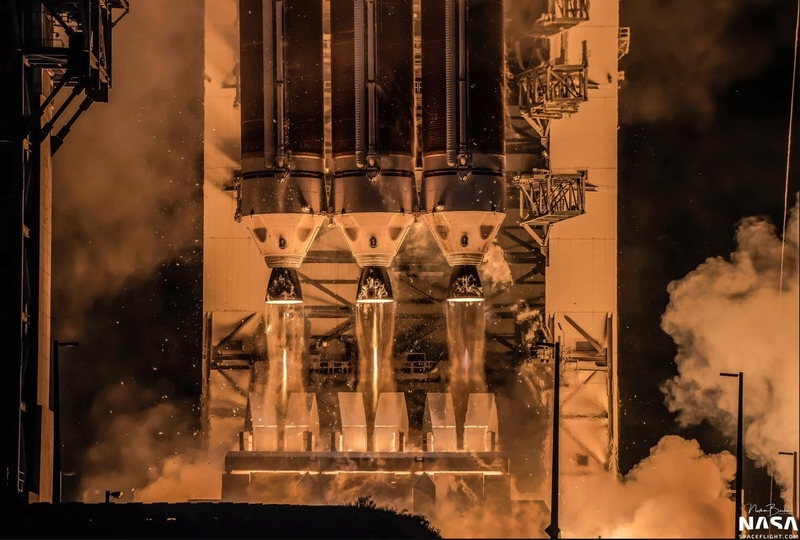 Secured atop a single-core Delta IV rocket will be the 10th Wideband Global SATCOM spacecraft, which will eventually deliver modern communications capabilities for all branches of the U.S. military and allies. WGS-10 is the program's final flight. The mission will mark one of two Delta IV launches for 2019, a rarely launched rocket that primarily focuses on government spacecraft. The second mission, slated for no earlier than April, will take the second of the Air Force's next-generation Global Positioning System satellites to a medium-Earth orbit. The next launch for the Eastern Range is still slated for Jan. 17, though the ongoing partial government shutdown could affect the launch date due to the absence of NASA, which is the contracting agency. SpaceX will launch an uncrewed demonstration flight of its Crew Dragon spacecraft on a Falcon 9 rocket from Kennedy Space Center's pad 39A to the International Space Station. After its departure, it will target an automated landing in the Atlantic Ocean. NASA contracted both SpaceX and Boeing to launch their spacecraft to the ISS. The latter is expected to conduct its uncrewed mission no earlier than March. Only after uncrewed missions are completed can the companies fly crewed demonstration flights. The next launch attempt of a Delta IV Heavy rocket from Vandenberg Air Force Baseremains up in the air pending results of additional testing, United Launch Alliancerepresentatives said Saturday. On Dec. 28, ULA representatives said the countdown would not occur any earlier than Jan. 6. ULA never sought permission from the Western Range to launch on that date, however, and no notices to mariners were issued reporting that they had been approved for liftoff. The notices are required because the launch path may affect navigational safety off the coast of the base. Additionally, SpaceX locked down Jan. 7 as the launch date for a Faclon 9 rocket and the final set of 10 Iridium Next satellites, before announcing the mission had slipped a day. The launch is now planned for 7:48 a.m. Tuesday from South Base.